I hear people say all the time that they don’t like the taste of deer. Some people say that just because they know what they’re eating and have a preconceived notion that it won’t be good. Others have legit gripes, mainly due to poor handling by the hunter from the time of the kill up until it was cooked. This often results in gamey, tough meat. 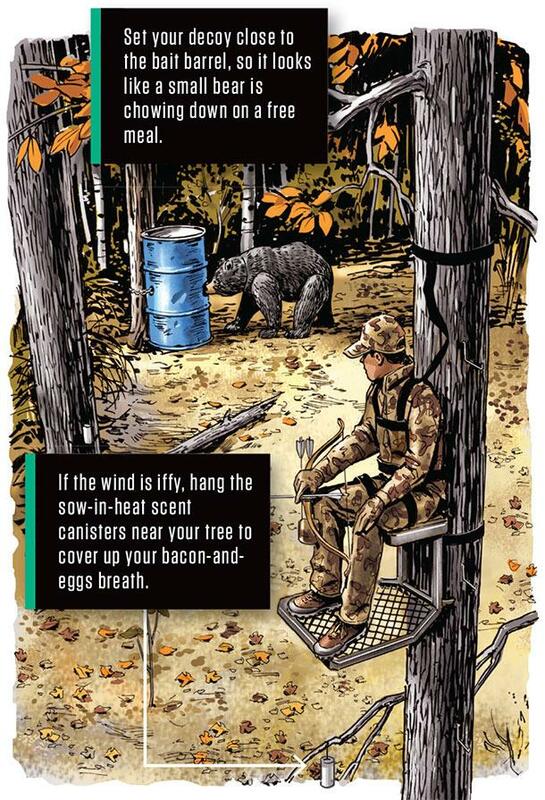 Here are some tips to help combat bad-tasting venison. Hunting in the real world is not like the Outdoor Channel portrays it to be. 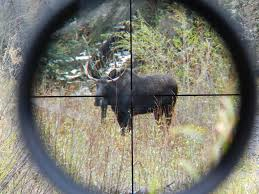 Hunters make bad shots from time to time and the deer has to be tracked for a while. Shot placement and the stress the animal received while being trailed plays a big role in gamey meat. 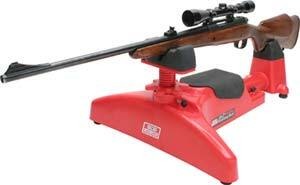 The faster a deer dies, the sooner it can be field dressed. 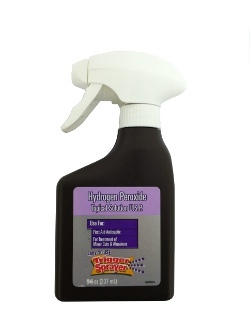 This will reduce the amount of acid that builds up in the deer’s muscles. 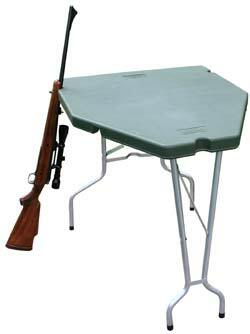 Hunters often fail to get the deer cooled as quickly as possible. The first step it to field dress the animal immediately and wash out the cavity with cool water. Be sure to dry the cavity out, as the water can be a breeding ground for bacteria. If the temperatures outside are in the mid-30s or cooler, it’s okay to let the deer hang. Anything warmer than that, and the deer needs to hang in a walk-in cooler (or be skinned, quartered, and put on ice if you don’t have a walk-in). A whitetail is not a hard to deer to quarter. Because of how their joints and tissues hold their legs on, a simple pocket knife can have a deer quartered quicker than you might think. Some might use a saw to cut through bone marrow and small pieces of bone, but then you’d need to watch that shavings from the saw don’t get mixed in with the meat. Stick with a sharp knife instead, and your meat will be free of small bone pieces that can contaminate the meat. Growing up, I can remember how much my dad loved the taste of fat from a good cut of beef. The same does not hold true with deer fat. Simply stated, deer fat tastes awful. It is not red meat, so cut it off before it’s made into steaks or burger. This includes all fat and silver skin. Every year before deer season begins, we call in an order to the local butcher shop for beef suet. Even though we removed all of the deer fat, we need to add some sort of fat, whether beef or pork, when grinding it. If this is not done, the lean venison will quickly fall apart when making burgers, meat loaves, etc. 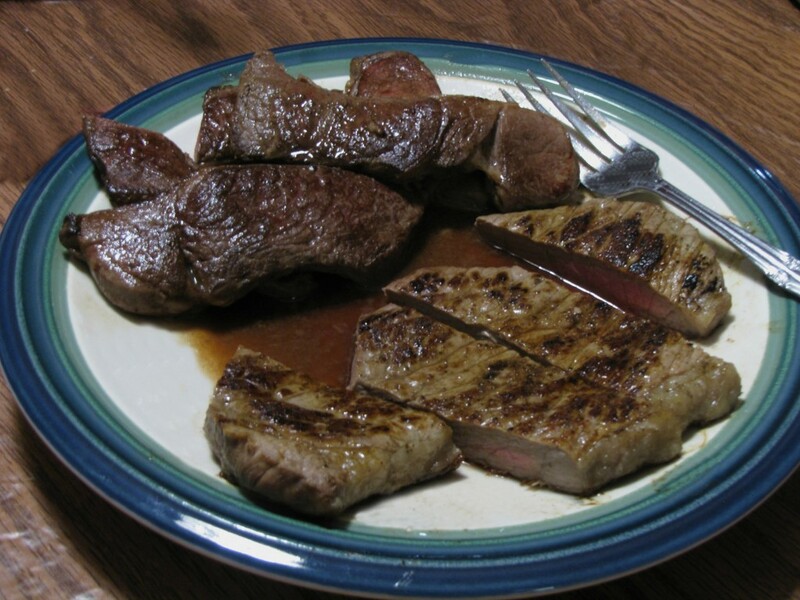 We add beef fat at a ratio of 3:1 (three pounds venison per pound of fat). If you have the means, the time, and the knowledge, I recommend processing all your deer yourself. When you take a deer to a meat locker you can’t be sure how the meat is handled — or if it’s even your own deer that you’re getting back. For all you know, you could be getting back someone elses deer, perhaps one that was gut-shot and not properly handled after the shot. If you have to take a deer to a processor, research the facility by talking to other hunters who’ve used it, and also talk with the workers, who will hopefully be honest with you. Don’t overcook venison. Cooking deer for too long causes it to become chewy and dry. 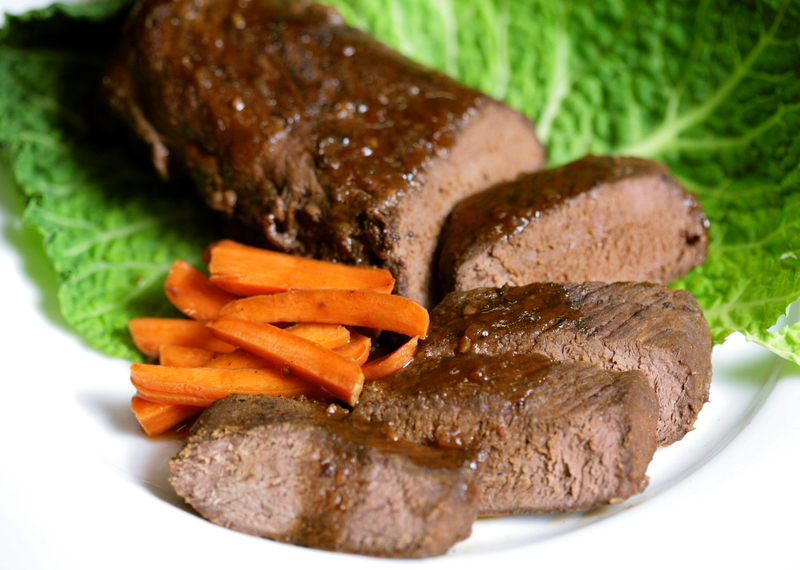 Venison is best cooked to medium rare, but the outside needs to be cooked. 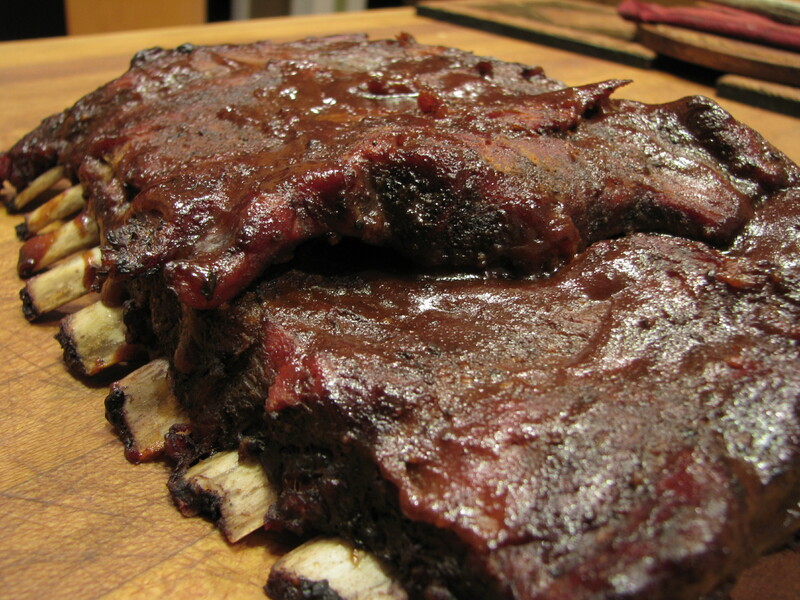 To accomplish this, the grill must be hot enough to quickly sear the outside and lock in the flavors and juices. Turn your venison only once. If there are no grill marks on the meat after three minutes or so, the grate is not hot enough. 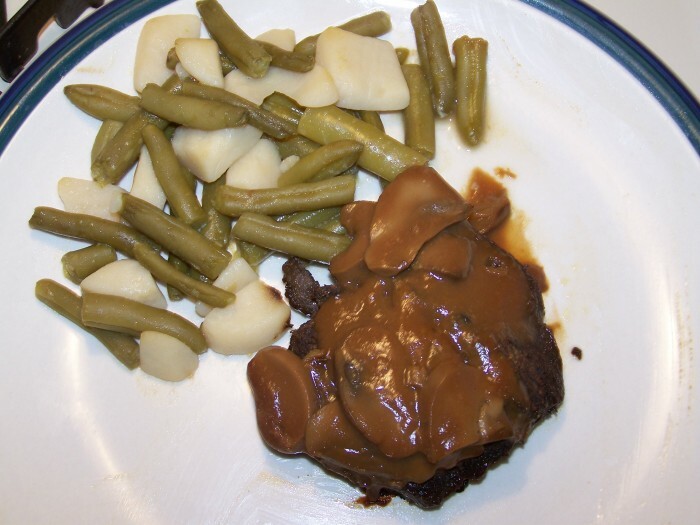 Freezer-burnt food, whether it is venison or other food, does not taste good. Some people use a vacuum sealer; if you go this route, buy a good one, as a cheap product will not keep the food fresh. When we butcher our deer, we make wrapping the meat a family affair, with all involved. We put one-pound portions of burger in sandwich bags and the steaks and roasts are wrapped with plastic wrap. After covering it with plastic wrap, we wrap it with good freezer paper and tapes. Writing on each package, we identify the cut of meat, who killed it, and the date of the kill. I hope this advice helps you create a great-tasting meal. A few more final tips: The younger the deer, the better, more tender it will be (even though this might not sit well with trophy hunters). Thaw venison slowly to prevent toughness, then serve it hot and keep the remainder hot to prevent it from getting a waxy taste. Ruffed grouse (colloquially called partridge) are the premier upland game bird of northern Ontario and are both delicious and incredibly difficult to hunt. They often dwell in the kind of thick, previously logged, new-growth forest habitat that is nearly impossible to walk through and offers a wall of brushy cover that can make spotting and hitting birds a tall order. A hunter with a well- trained canine companion can level the playing field somewhat due to the fact that a good dog can sniff out birds and give the hunter a slight edge. Unfortunately, not everyone is in a position to give a hunting dog the proper home and training it needs and are thus stuck hunting solo. All is not lost, however, and the following tips will improve a hunter’s chances of bagging a few grouse without the aid of a dog. Omnivorous ruffed grouse have a varied diet that includes insects, snails, slugs, mushrooms, and the leaves and buds of trees (usually poplar), but they have a particular affinity for the various fruits that are common to their habitat. Other fruits that may attract grouse include choke cherries, blackberries (if they are still present at the start of hunting season), and the fruit of hawthorn trees or “haws”. Whenever it is possible, safe, and legal to do so, it makes sense for a grouse hunter to stick to established trails and decommissioned logging roads. The primary reason for holding to roads and trails is that these travel ways provide grouse with a convenient source of dust and pebbles. The birds dust themselves to control parasites, and eat small pebbles to aid in the breakdown of food stored in their gizzards. It follows that grouse often stay within easy striking distance of a path or road. 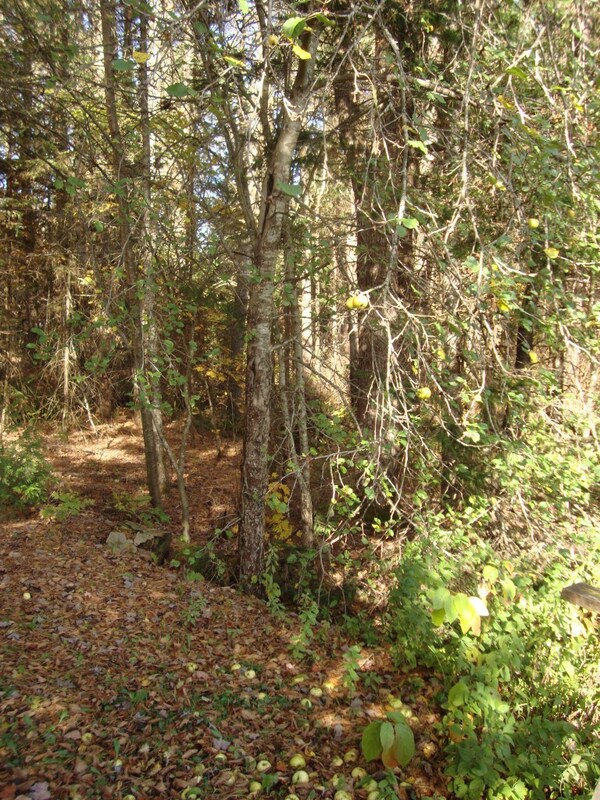 Areas where a food source, such as a stand of apple trees or poplar saplings, is immediately adjacent to gravel path or road typically yield a lot of grouse. 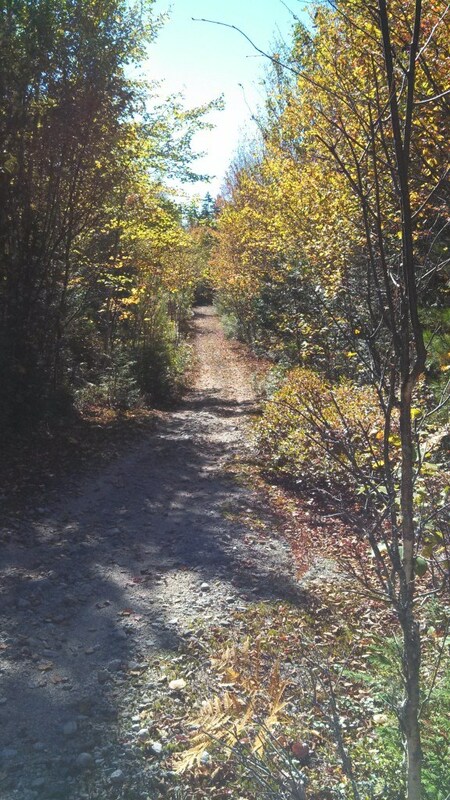 Trails and roads also facilitate easy movement through the thick, brushy, and nearly unwalkable new-growth forests that comprise typical ruffed grouse habitat. Grouse, much like any other terrestrial animal in existence, don’t like to be rained on and will seek shelter during inclement weather. This shelter often takes the form of such coniferous trees as balsams and spruces. Stands of pines that are in close proximity to food sources are particularly good places to look for grouse on wet weather days. An easy error to make while hunting grouse is to keep eyes only on the ground. While ruffed grouse are primarily ground-dwelling birds, they do spend an appreciable amount of time perched in trees. 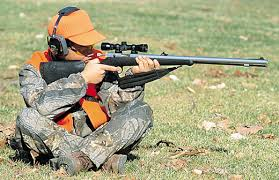 A hunter concentrating on spotting birds on the ground will likely miss birds perched in tress and vice versa. Ruffed grouse are an incredibly difficult bird to wing shoot, especially without the help of a dog to provide advanced warning or a bird’s presence. Not only do grouse take flight in a manner that results in a sudden blur of motion and thunderous wing beats likely to startle an unaware hunter, but the birds are also adept at quickly taking cover by putting trees and thick brush between them and the muzzle of a shotgun. By the time a hunter, surprised by a bird, shoulders his or her gun, disengages the safety, and gets on target, the bird will likely be gone. That’s not to say those hunting sans dog will never hit a flying grouse, it’s just that spotting the birds before they take flight is a surer way to put meat on the grill. Spotting grouse before they fly is a skill in and of itself as their natural camouflage is just shy of perfect. 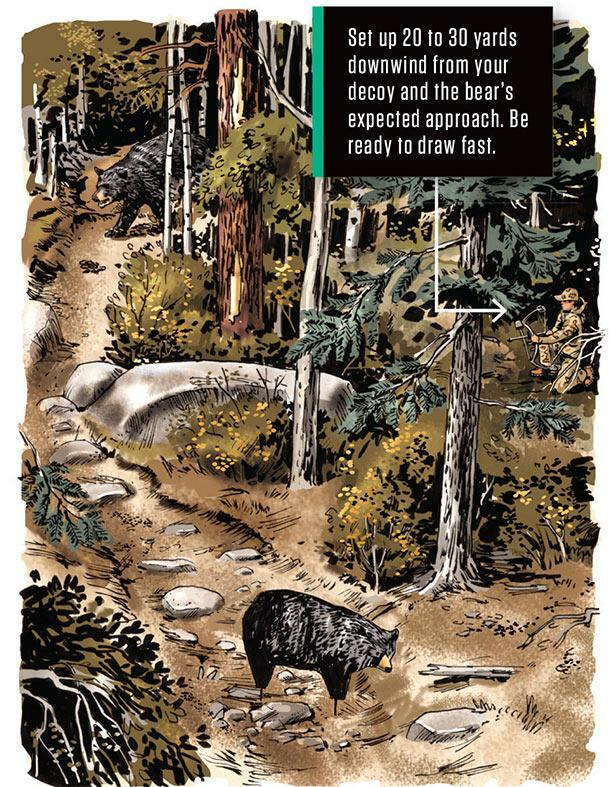 A good way to spot them is to look for movement rather than trying to recognize their outline on the forest floor. A grouse moves in a very awkward, jerking motion, similar to that of a chicken. This distinctive movement will often give away a bird’s position. Occasionally, ruffed grouse will also give away their position with sound. 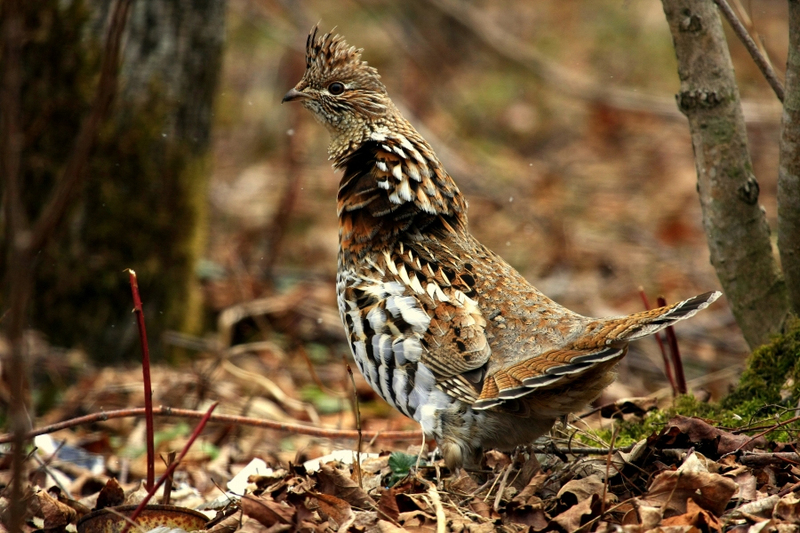 The noise that ruffed grouse are perhaps best known for is their characteristic drumming that sounds similar to a distant lawnmower engine starting and stalling. This sound will make a hunter aware of a bird’s presence in a general area, but it is difficult to use it to pinpoint an exact location. Another sound emitted by grouse is a kind of high-pitched, raspy clucking. Grouse will occasionally make this clucking sound when distressed a few seconds prior to taking off, thereby giving a hunter advanced warning of its presence in the immediate area. This last piece of advice is perhaps the single most important. Most of us have become conditioned to walk through our day to day lives as quickly as we possibly can. This mindset is perfect when navigating the local supermarket, but it will lead to certain failure on a hunt. Rather than walking quickly and continuously, it is important to move at what at first will seem like a snail’s pace, and to pause every few steps to thoroughly scan the woods. Walking in this manner will not only result in the spotting of more game, but will also result in a hunter noticing other interesting details about the woods that would be missed when hiking at forced march speeds. Noticing such details as a vibrantly colored mushroom, a hawk or eagle circling high overhead, or even just a really cool looking tree are as important to the experience of hunting as bagging game. 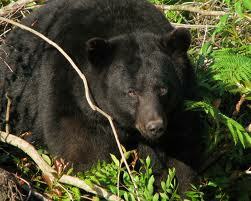 Black bear are very hard to kill, and they are hard to track when wounded. 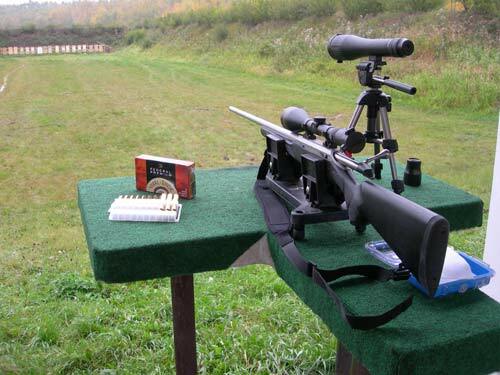 Even a good heavy-caliber lung or heart shot may not keep the animal from getting off into the woods, and that same shot may not leave very much of a blood trail. Wounded bear bleed into the porous fat layers between hide and muscle, and their thick fur absorbs external bleeding like a sponge. As the bear runs and the fat moves, it appears to seal over most wounds and even a heavily bleeding animal may travel a great distance before its wound begins to leave a visible trail again. 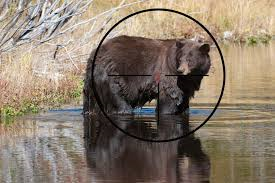 There aren’t many more upsetting situations a hunter can face in this country than to put a carefully aimed shot into a carefully selected bear at virtual point-blank range, see it stagger, then vanish into the brush in two steps before you can even recover from recoil. You sit there, with dark closing in by the minute, not able to see more than 20 feet, and a wounded bear extending the distance. You have to get down onto the ground and do something about it. No wonder now why your guide and other experienced bear hunters kept telling you how important it is to hit a bear hard and solid and put him down and keep on hitting him until there is no chance he will get up and get out of your sight. First rule is to wait. Be patient and slowly gather your wits and be prepared for the next steps. Second: Look. Observe the direction your bear exited. Third: Listen. Bears are commonly known to turn into the direction of their wound (more likely if mortally wounded) and can actually end up circling the bait. Those that don’t will run with such ferocity that the normally silent creature can cause major disturbances to surrounding areas and make enough ruckus for you to gage the direction to begin tracking. If you are lucky, a short time after your shot is made, you may hear a drawn out, breathy cry often referred to as the death moan. This likely means your bear is down and is not getting back up. Don’t worry if you don’t hear one, not all bears will give you this satisfaction. 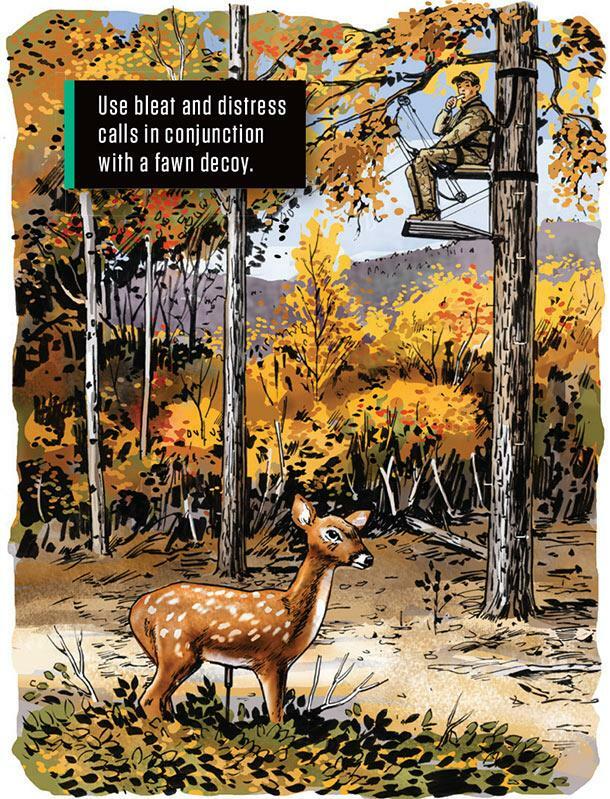 After waiting at least 30 minutes in your stand, cautiously come down and look at the area where your shot connected. Look for any sign of your shot: blood, tissue or even an arrow that carried through. 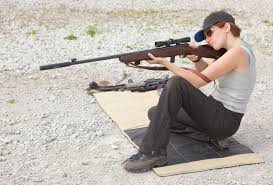 Start in the direction where you shot and look for any sign of blood in the direction you saw your prey evacuate from. Take the time to bring and use marking tape to highlight your trail as you go, not only will it give you a general direction, but it will also make finding your way out much easier and stress free. A good, clean shot should drop a bear within 40 yards but we have tracked bear that have gone up to a couple of miles away. On top of marking tape, I also suggest having a spray bottle with peroxide in your kit. In the forest, leaves can often have brown marks that look an awful lot like blood and using the peroxide will help differentiate as it will bubble on contact with blood. I often add the brightest yellow food coloring I can find to highlight the blood even further. I also like to pack a small black light to use in conjunction with this mixture as it will illuminate if the natural lighting begins to fade. 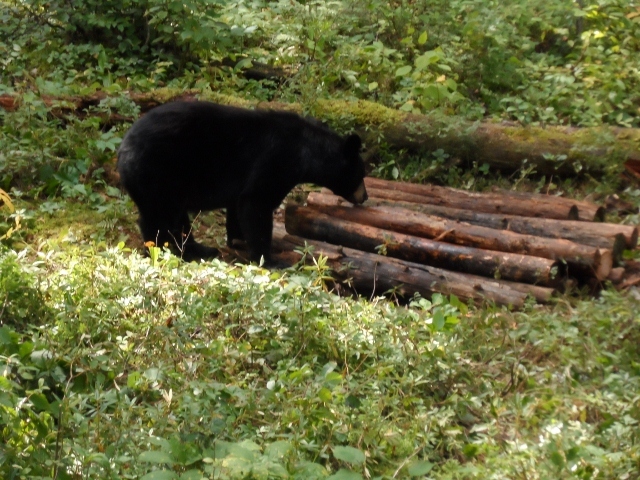 It is not uncommon to spend a few hours searching if your bear has gone beyond the 40 yard mark but don’t lose hope. Keep your eyes peeled for signs of foot prints, snapped twigs or torn leaves as this could be nature’s own way of marking your bear’s trail. If the day ends and no bear can be found, ensure that you go back early the next day. Look for any signs of scavengers in the area. Turkey vultures are often a DEAD giveaway. They feed in the daytime so be prepared to wait a bit for them to arrive. We sometimes will suggest to our hunters to climb back in the stand and look over the area again from the original vantage point. If on the second day there is no harvest found and no sign of scavengers, it is very unlikely you will find your bear and you will come away with one of the hardest experiences in hunting. Disappointing for both sides. So in closing, take time placing that shot and take time looking for any wounded animals you may have created.